A refugee's gaze, a turtle's journey, leading the band in Beijing and more of Wednesday's best news photos. Musician Frilal Ortiz carries a double bass in downtown Havana on March 16, 2016. President Obama is scheduled to make a historic visit to Cuba next week. A military band conductor leads the band at the close of the annual National People's Congress held in Beijing's Great Hall of the People. Handler Jorge Garcia-Bengochea holds Honor, a miniature therapy horse from Gentle Carousel Miniature Therapy Horses, as they visit with patients at the Kravis Children's Hospital at Mount Sinai in New York City. An ultra-Orthodox rabbi writes a new Torah scroll near the Western Wall, the holiest place for Jews, in Jerusalem's Old City. Many Jews gathered for a special march around the Old City to celebrate the writing of a new Torah scroll. 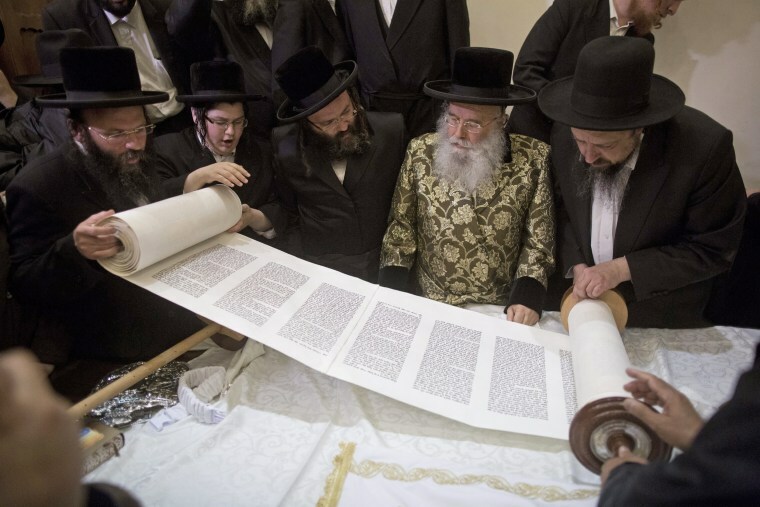 According to the rabbis, the scroll is directed at saving Israel from the recent surge of Palestinian attacks. U.S. student Otto Warmbier cries at court in an undisclosed location in North Korea in this photo released by North Korea's Korean Central News Agency. North Korea's supreme court sentenced Warmbier, a 21-year-old University of Virginia student, to 15 years of hard labor on Wednesday for crimes against the state. He allegedly attempted to steal a propaganda banner from a restricted area of his hotel at the request of an acquaintance who wanted to hang it in her church. Syrian refugee girl Zahra Mahmoud, 5, from Deir el-Zour, Syria, poses for a picture at an informal tented settlement near the Syrian border on the outskirts of Mafraq, Jordan on March 11. About half of the 4.8 million Syrians who fled their homeland are children, and some of the most vulnerable live in dozens of makeshift tent camps, including in Jordan, which has taken in close to 640,000 refugees. Photo made available March 16. Federal appeals court judge Merrick Garland shakes hands with President Barack Obama as he is introduced as Obama’s nominee for the Supreme Court during an announcement in the Rose Garden of the White House. A baby turtle heads to the sea after being released at Ujong Pancu beach of Aceh Besar, in Aceh province. Local environmental activists bred the turtles to keep them safe from poachers. Indonesia, at the crossroads of important migration routes next to the Pacific and Indian Oceans, is home to six out of seven of the world's turtle species. Despite laws protecting sea turtles in most countries, the illegal trade of eggs, meat, and shells of turtles continues to be a threat. Republican presidential candidate Ohio Gov. John Kasich celebrates his Ohio primary victory during a voting day rally at Baldwin Wallace University on Tuesday evening, March 15 in Berea, Ohio.